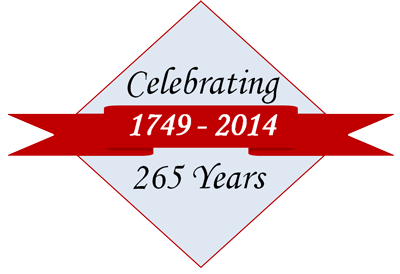 The 265th anniversary of Cumberland Township is over. I thank all of you who worked for and attended the soggy celebration. About 55 visitors came to the Gettysburg Times location and about 30 visited the Cumberland Township municipal building. Eighty-five visitors is not too bad for a rainy day! Weis Markets donated $120; thank you to Weis for being a corporate sponsor. Our Preservation Committee has been meeting and will be providing a â€œjob descriptionâ€ soon. Our Finance Committee met Nov. 3. Please see more about the Finance Committee and its members below. In addition, we need to update our bylaws. At the December meeting, we will discuss a revised proposal to amend the bylaws and then all CTHS members in attendance will be asked to vote on the measure. More information on this proposal also appears below. A happy society is a well-fed society! The December meeting will again feature our annual light buffet. Thank you in advance to Dale Molina, Carolyn Greaney, and Lisa Burt for making this possible. This meeting will be a good end to a successful year! The Cumberland Township Historical Society wants to know how many people might be interested in taking a bus trip to the Epley Blacksmith Shop at the Landis Valley Museum in Lancaster County. The trip would be in the spring, and the cost would be based on the number of participants. The blacksmith shop, owned by John William Epley, was located in Cumberland Township from 1904 to 1960. It was disassembled, placed in storage, and then reassembled in 1969 as part of the Landis Valley Museum. The shop now interprets the blacksmith trade during the late 19th and early 20th centuries. If you might be interested in this trip, email cumberlandtwphs@gmail.com with the number of people in your party. You may also call John Horner at (717) 334-8916 or express your interest at the membership table set up at the December CTHS meeting. 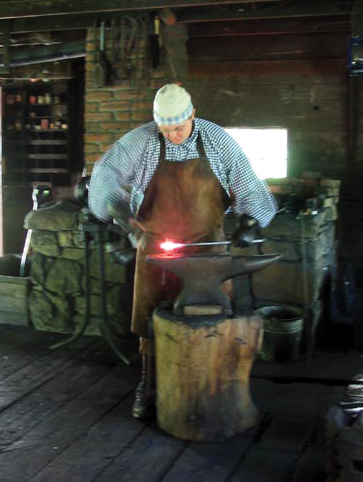 Photo of blacksmith at Landis Valley Museum courtesy of bridgeandtunnelclub.com. After questions arose during the September meeting about the wording of proposed changes to the Societyâ€™s bylaws, the board did some rewriting and has a new proposal. At the December meeting, the board will ask members to vote on changes that affect term length for the board of directors and also the length of time an individual may serve as chairperson or vice chairperson. The proposed changes to Article III, Section B â€” Terms of Service, follow, with the words to be changed appearing in red. CURRENT WORDING: The chairperson and vice chairperson serve a term of two years and may succeed themselves for one term of office. Following the term of office as chairperson/vice chairperson, they may serve two years as a member of the board of directors. Terms of office for other board members will be two years renewable with no limit on succession. PROPOSED WORDING: The chairperson and vice chairperson serve a term of one year and may succeed themselves for five terms of office. Following the term of office as chairperson/vice chairperson, they may serve as a member of the board of directors. Terms of office for other board members will be three years renewable with no limit on succession. REMINDER: CTHS members will also be voting at the December meeting to fill open seats on the board. Be sure to attend so you can cast your ballot! Linda Seamon is the treasurer of the Cumberland Township Historical Society. She is a Gettysburg Licensed Town Historian. Philip Magaldi is retired from the former Gettysburg Travel Council. 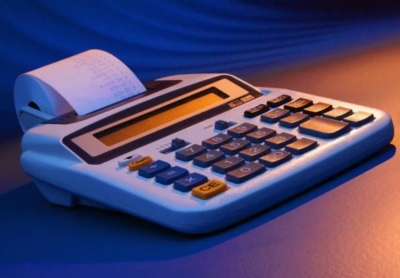 He has been a history advocate for many years and is well-versed in the budgeting process. Elsie Morey led the Historical Committee in Mount Joy Township, just east of Cumberland Township. Many interesting projects blossomed under her direction. Don Sangirardi is a Cumberland Township resident from New York. He has a strong respect for both history and accounting. CTHS Chairman Speros Marinos also serves on the committee as a representative of the board. address all other pertinent issues. Please note that the December 1st CTHS meeting is "Membership Renewal Night!" It's the perfect time to renew your membership or, if you have not yet joined the Historical Society, take that important step. Your membership dollars help make the very popular quarterly programs possible and will allow the Society to embark on projects to help promote and preserve the history of Cumberland Township. Memberships are available in a variety of categories (individual, family, lifetime, and corporate) starting at $20 per year. To join, print and fill out this membership application and bring it to the next meeting or submit it, along with your payment, to CTHS, P.O. Box 3203, Gettysburg, PA 17325. 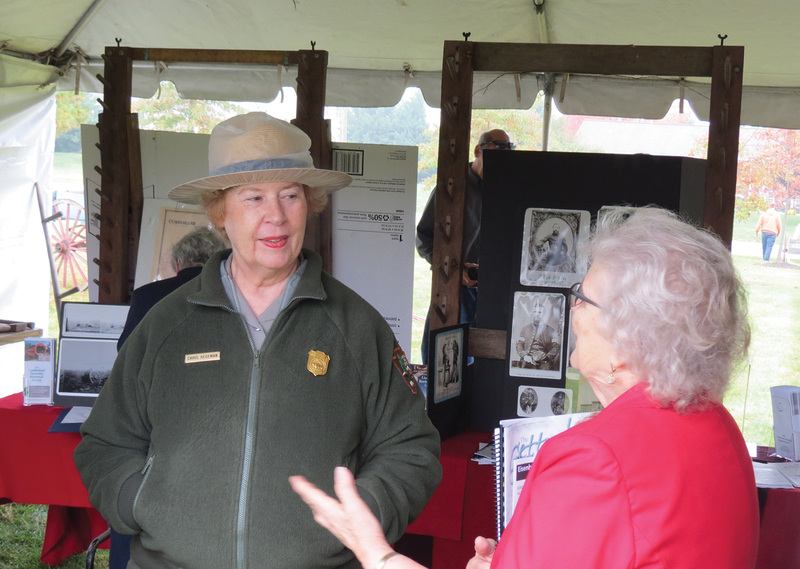 Despite the fact that Oct. 13 dawned cold, wet, and gray, more than 80 residents and well-wishers took part in Cumberland Townshipâ€™s 265th anniversary celebration. 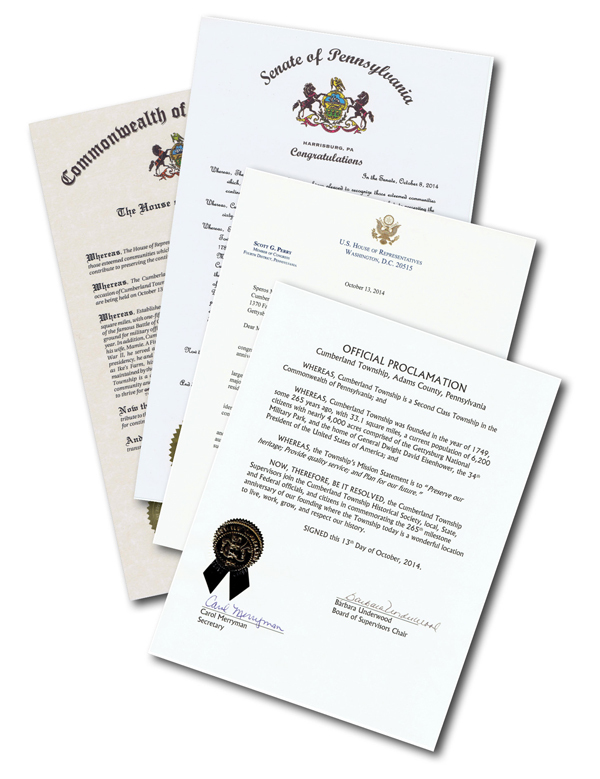 Congratulations and citations from state and federal legislators, as well as a proclamation issued by the Cumberland Township board of supervisors in recognition of the anniversary. 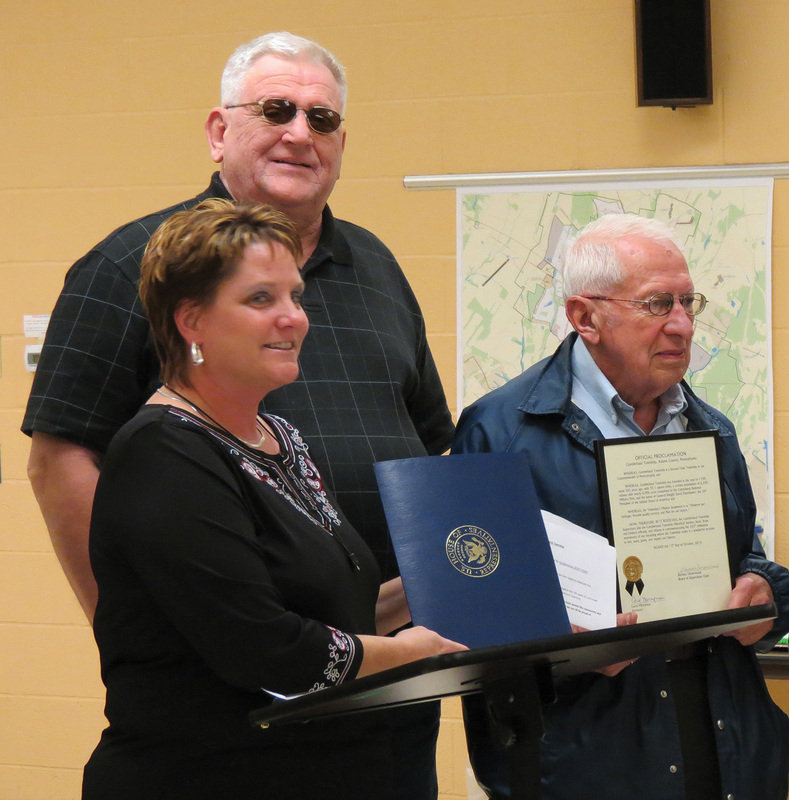 CTHS Vice Chairman John Horner (right) accepting a letter of congratulations presented by Holly Sutphin, a field representative for Congressman Scott Perry, while township supervisor Al Ferranto looks on. Carol Hegeman, supervisory historian with the Eisenhower National Historic Site, answering questions during the event. 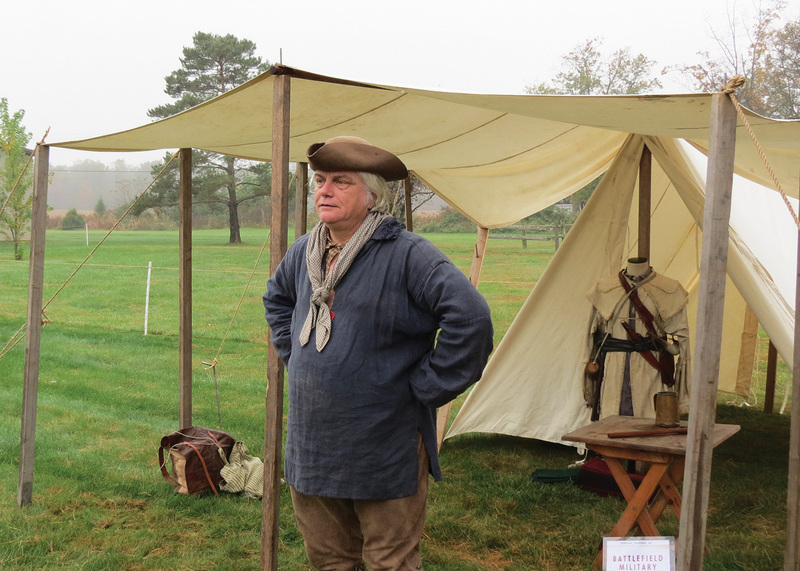 Jim Tennyson portraying a township settler from 1749, the year of the townshipâ€™s founding. 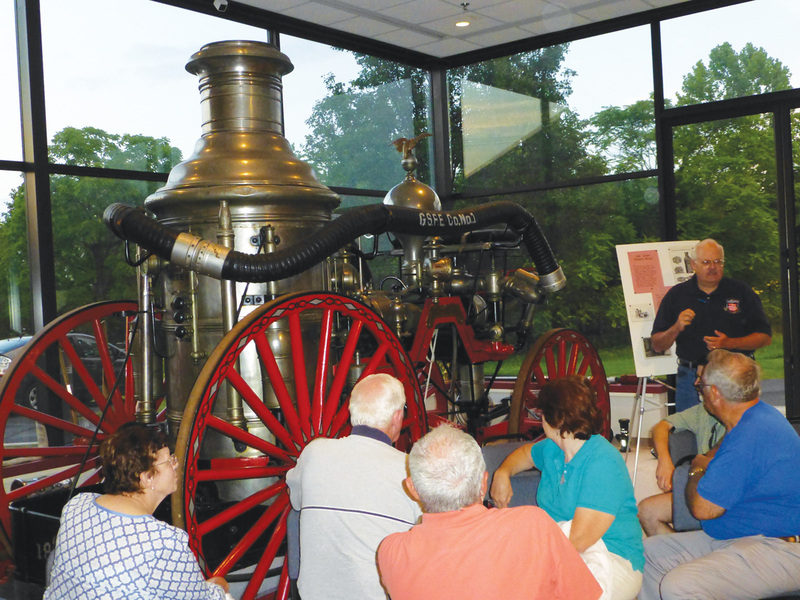 CTHS members learned about the more than two centuries of history surrounding the Gettysburg Fire Department during a members-only tour of its museum in August. Special thanks to Charlie Underwood, chairman of the fire museum committee, and committee members Jamie Gallagher and Gary Frederick for sharing their knowledge and answering many questions from those in attendance. The GFD has operated under several different names, including the Union Fire Company and General Meade Steam Engine Fire Company. The GFD is the 21st oldest active volunteer fire department in the country. An 1806 borough ordinance required every family to have two fire buckets, which were made of leather and often highly decorated. In the 1700s, fire equipment was purchased from England. In 1806, the department ordered a fire pumper from Philadelphia that was delivered by Conestoga wagon. The departmentâ€™s first engine house was built in 1809. Several others followed. The Gettysburg Fire Department was organized in 1885. The current station was dedicated in 1992. At one time, only Cumberland Township residents within three miles of the borough line had access to the departmentâ€™s services. That later increased to seven miles. There was a charge of $25 for service within three miles and $50 outside that range. Learn more by contacting the GFD to schedule your own museum tour. A book detailing the departmentâ€™s history is also available for purchase. 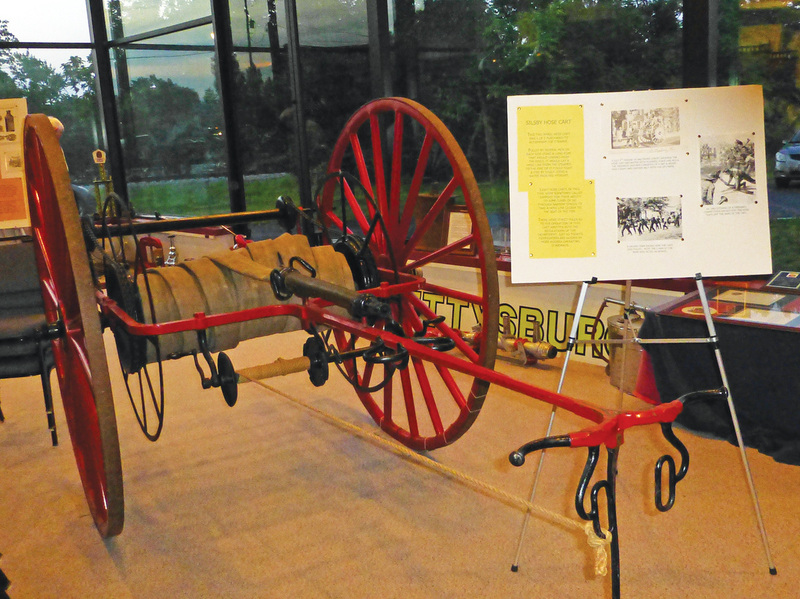 The six-ton Silsby steam fire engine, purchased in 1885, which was pulled to fires by men, not horses. One of two hose reels purchased for $250 each for use with the steamer. 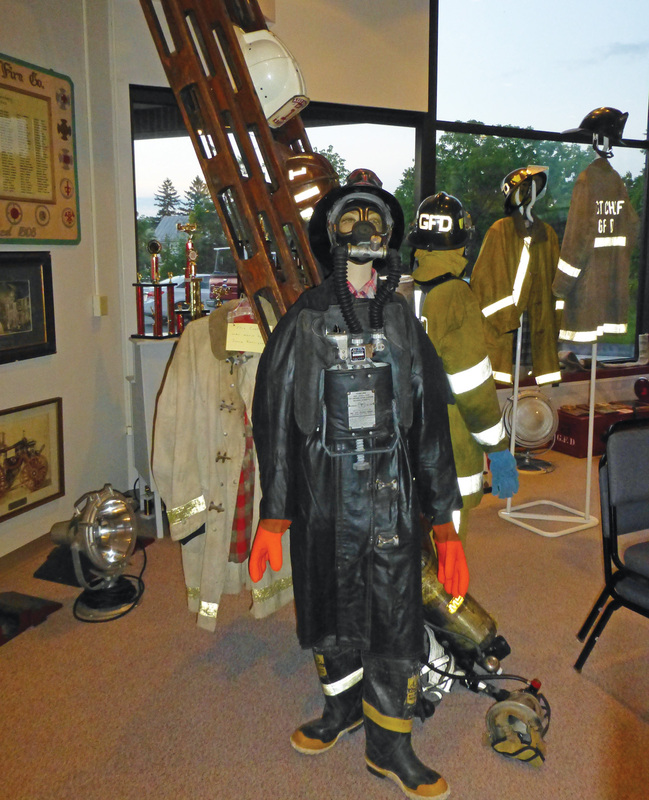 Gear worn by firefighters over the years that is now on display in the museum. 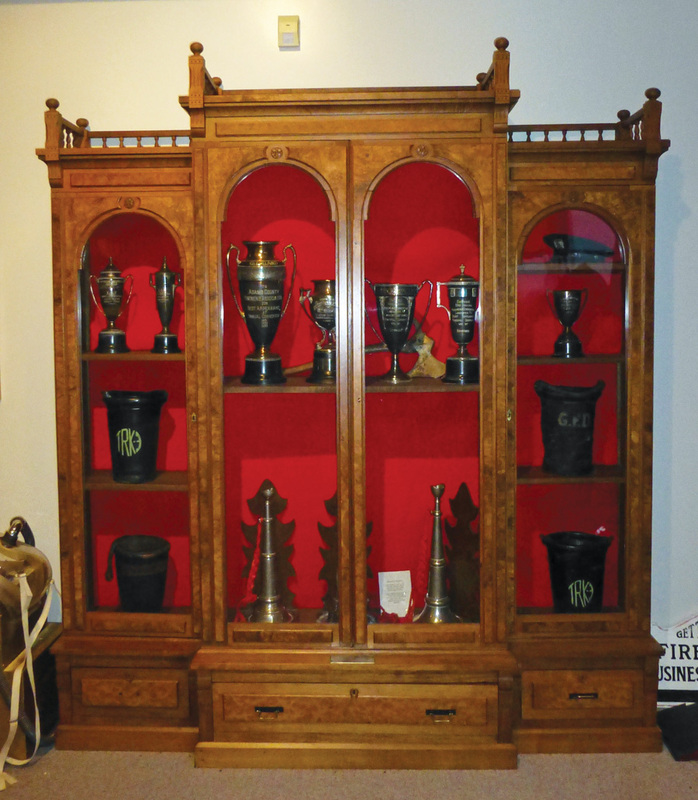 A bookcase, a gift from the Adams County Mutual Insurance Company, that holds leather water buckets and other historic items. 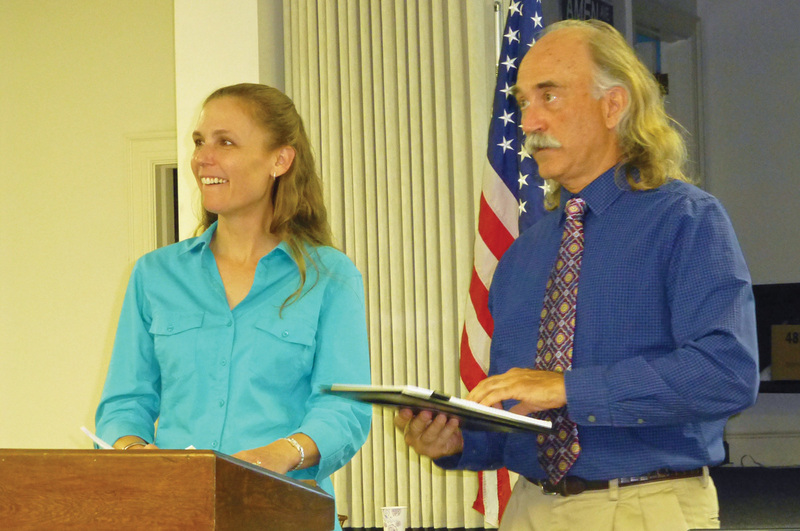 At the September CTHS meeting, Curt Musselman and Kendra Debany teamed up to share their insight into the history of McAllisterâ€™s Mill, a Cumberland Township landmark that sheltered hundreds of slaves making their way toward freedom on the Underground Railroad. According to the presenters, the mill was built in the late 18th century, possibly by slaves, and was purchased by James McAllister in 1827. Mills were known for serving not just their intended purpose but also as social gathering places. McAllisterâ€™s Mill was even more: On July 4, 1836, McAllister hosted a meeting of local abolitionists at the mill that resulted in the publication of 14 bold anti-slavery principles. Itâ€™s no surprise, then, that the property became an important link in the regionâ€™s Underground Railroad. Mill operations ceased during the late 19th century, and the property now contains only remnants of the former structures. Tours of the site are available through Historic Gettysburg-Adams County from May through August. Photo: Kendra Debany, chair of the Civil War Roundtable, and Curt Musselman, chair of the Preservation Committee for Historic Gettysburg-Adams County, take questions about McAllisterâ€™s Mill from the crowd at the CTHS meeting in September. Learn more about the history of McAllisterâ€™s Mill and tours of the site at www.hgaconline.org. Bring Your Holiday Shopping List to the December Meeting! 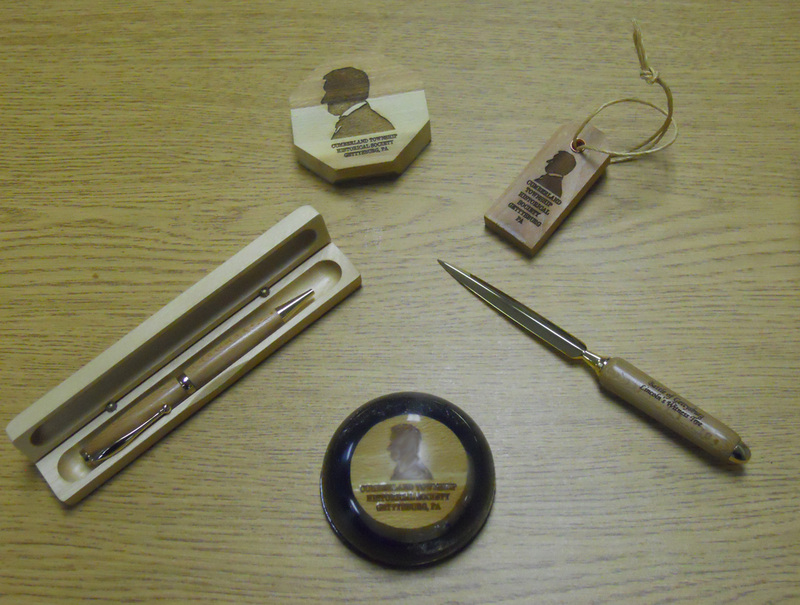 CTHS commemorative items make unique and thoughtful holiday gifts. Several items will be available for purchase at the Society meeting on December 1st. 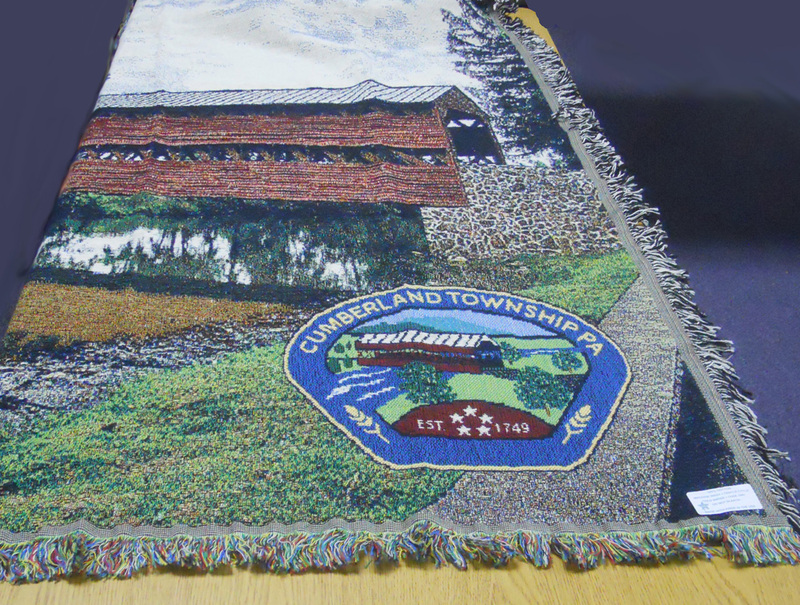 You'll find a cozy throw depicting Sachs covered bridge, along with pens, letter openers, and other items made with wood from a tree that witnessed President Lincoln traveling toward Soldiers National Cemetery. All items will be on display and available for purchase at the meeting. See below for a sneak preview! Dec. 1, 2014 â€” Board elections followed by a presentation on the history of local law enforcement with Cumberland Township Police Chief Don Boehs. This is also Membership Renewal Night. Please come prepared to renew your membership or, if youâ€™re not yet a member, join us! Our volunteers will also be preparing our annual light buffet to say "thank you" to everyone in attendance for your support. Copyright Â© 2014 Cumberland Township Historical Society, All rights reserved.